London-based video specialist Grabyo has partnered with Singular.Live and on-air graphics specialist Reality Check Systems to add live graphics authoring to its cloud-based production platform. The partnership enables users of Grabyo Producer to insert dynamic broadcast graphics to live broadcasts, creating new viewing experiences for audiences across digital and social platforms. Developed in the cloud and controlled via web-browser, both platforms offer flexible and affordable workflows for production teams looking to enhance live offerings. Singular.Live integrates with live data streams to create automated graphics packages in real-time using any web-based data stream or provider. This feature is a key part of traditional broadcast graphics solutions for sports, gaming and other publishers looking to enhance broadcasts with data-driven on-screen visuals. With live video a key driver of growth across digital and social media, this integration will allow rights holders, broadcasters and publishers to develop live experiences that are optimized for viewers on mobile and social platforms. Grabyo Producer and Singular.Live support digital broadcasts featuring multiple live inputs, VOD assets, social data and TV graphics, broadcasting simultaneously to platforms including Facebook Live, Periscope, YouTube and other websites and mobile apps. This simple, cloud-based production workflow significantly increases engagement and distribution without the need for expensive, inflexible broadcast infrastructure. “We are delighted to partner with Singular.Live and Reality Check Systems to bring live graphics and data to Grabyo Producer. Demand for flexible, browser-based workflows for live streams is growing rapidly. We can now provide our customers with broadcast quality graphics, live authoring, real-time editing and data-driven graphics – something that has been lacking in digital, social production” says Gareth Capon, CEO of Grabyo. The partnership also allows Grabyo customers to tap into the design capabilities of the Emmy award-winning Reality Check Systems, the creative partners for the new service. 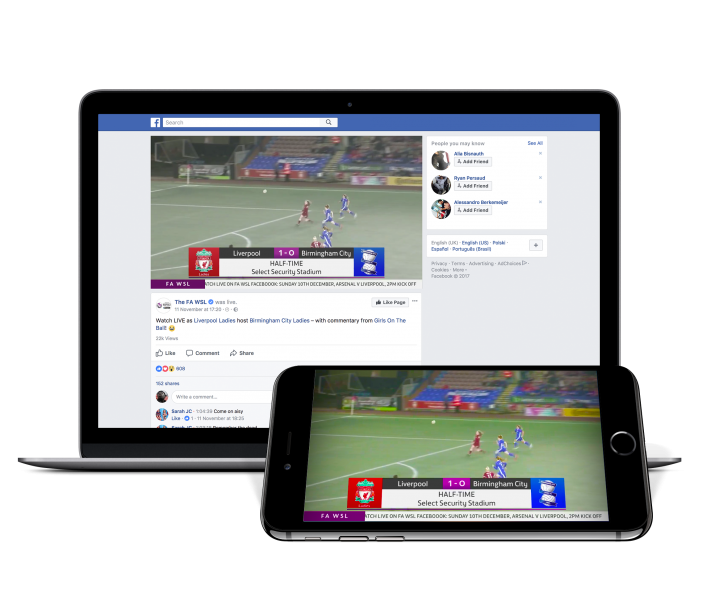 The integration is currently being used by the English Football Association to broadcast weekly games from the Women’s Super League directly to Facebook Live and has been used by Major League Soccer and Southampton FC. “Both RCS and Singular.Live are excited to be working with Grabyo and providing a direct integration into Grabyo Producer” says Steven Heimbold, co-founder of Reality Check Systems. Grabyo partners with the world’s leading rights holders, broadcasters and publishers to deliver live and on-demand content to multiple social and digital platforms. Grabyo delivered more than six billion video views on digital platforms in 2017.